Balinese gardens are some of the loveliest natural gardens in the world. Staying here is a real privilege. The peace and serenity along with the colour is delightful. All minor but getting down to the river involves descending into the gorge – 64 steps in all. Not great for those with mobility issues although the terraced gardens are teaming with plants to enjoy en route. Being tucked down in the valley does mean mobile telephone connections can be a bit hit and miss. Brushed concrete is slippery when wet although it is only used in the rooms which should be dry. Note that only the TV room has satellite connections. The TV screens in the master suites are just for DVD players. What a wonderful experience we had! You made our stay full of lovely moments and your kindness is for sure a part of it. Excellent staff, wonderful buildings, and garden landscape breathtaking. High class hospitality and staff. We really had a memorable time here and hope to return. Thank you very much for caring for us during this weekend. The villa is beautiful, well cleaned, the staff are super nice, the food was amazing. We spend a great weekend and your attention to detail was very appreciated. Thank you again, we will recommend to our friends. What an amazing experience at Villa Maya Retreat. Made and Rai, thank you. Villa Maya team - thank you for your wonderful service and attention to detail. We will definitely highly recommend to our family and friends. Until we meet again, thank you from the bottom of our hearts. We came here for wedding. The food was amazing and so were the beds and we love the outdoor bathroom because it was nice to have plants surrounding you. The fruit in the morning was lovely, we had an awesome time. Thank you so much to the staff, wonderful cooking, cleaning, driving, helping out with children. It really made it feel like a home away from home. We arrived for a family wedding and our stay here at villa Maya Retreat was so wonderful. We had so much enjoyment and relaxation. The staff are fantastic - always very pleasant and cheerful and will do anything to make our stay comfortable. Also fantastic cooks. It is so beautiful and peaceful at your resort, we have thoroughly enjoyed all our time here. Made, Rai and Chika thank you especially for being so kind and gracious, you made everything so easy and comfortable a wonderful place to stay. We had a wonderful time. The service was the best we have seen. Made Rai, Chika, Kadek, Mandra were awesome made us feel at home. Thank you very much, we stayed with four kids and couldn't have asked for more. Thank you again for the love and care. Hope to stay with you guys again. Thank you to all staff, we had a wonderful time, this is such a wonderful place to stay. We felt safe and relaxed, you have a beautiful country. Thank you all so much. Kami Keluarga besar dari Bandung sangat senang dan bahagia selama tinngal di Villa Maya dan sangat puas dengan service dan pelayannanya dari Villa Maya. Semoga kami dan sekeluarga semua bisa kembali lagi untuk berkunjung dan tinggal di Villa Maya. Villanya sangat bagus dan Indah. We enjoyed stay here in Villa Maya Retreat. The villa were beautiful. The food was delicious, the staff welcoming and friendly. Thank you. Such a wonderful place to celebrate the beginning of our marriage with some of our closest friends. We relaxed, partied and relaxed some more in paradise. Villa Maya is beautiful and luxurious and exceeded all of our expectations with its tranquil setting, delectable local cuisine and friendly staff to whom nothing was too much trouble. 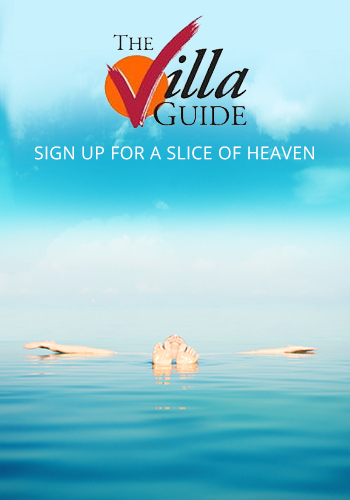 We felt welcomed from the very first contact and would recommend Villa Maya to anyone wanting a sumptuous experience. Thank you so much. After being delayed by flight down (mt Agung) Actually all 14 members of the family arrived at this wonderful location. We range from grand father to the latest addition and we have had an amazing experiences over the part 12 days. The food and the staff have been wonderful. We have enjoyed our stay. Thanks to all the staff for caring for all of the family. What a wonderful week we have had celebrating 2 60th Birthdays. The staff have been fantastic looking after us, amazing food, sensational special birthday dinner on Wednesday. We were overwhelmed with the music and dancing displayed by the villages. Chika has been warm and welcoming - we will miss the banana pancakes. Thank you Kadek for cleaning our rooms as well as kitchen assistance. Made has been a great host, trying to fix and meeting our requests and needs. All staff are friendly and helpful and courteous - 7 women and we felt safe and secure at all times. The villa is a little oasis. We enjoyed our stay here very much. Thank you to Made and the staff for the excellent service. We hope to return again with family. Made has been really helpful and thoughtful during our stay. We very much enjoyed staying here and will definitely visit Villa Maya sometime in the future. Thank you. I stayed at Villa Maya Retreat which was as close as I have ever been to paradise. The people who hosted us were like diamonds, if the world ever was full of people like this, the world would be like heaven of earth. The food was magnificent and now I have to go on a diet! The time has now past but the memories will never last, thank you to all staff. Villa Maya is an amazing place to stay. Relaxing, peaceful has everything we need for an awesome holiday. The staff are great. Thank you all staff, you made our stay one to remember. The staff...wow...what can we say. Amazing wonderful service! We couldn't have asked for a better time, we are so impressed! Polite, friendly and totally prepared to go out at their way. Exceptional service from Made, Rai and Chika. Thank you so much and we will miss you. We loved the local dishes, fresh food cooked to perfection. We will return to the villa if we ever come to Bali again because of the fantastic level of service from the staff. We very enjoyed our stay here at Villa Maya Retreat. Villa is amazing! Very beautiful, large territory, cozy large rooms. Thanks to all the staff for looking after us. The staff have been accommodating and very helpful. They always try and are very helpful in meeting our requests, thank you. Thank you very much to all the staff for the hospitality and kindness. We do enjoy the stay in Villa Maya Retreat. We will come back next time, thanks. 11 of us stayed here at Villa Maya, bringing together 2 families from the UK and Australia to share Christmas together. The villa has been magnificent,so much space for us, big bedrooms, and the experience of an outdoor bathroom has been great ! Relaxing by the pool and listening to the sounds of the birds, roaster, dogs, pigs etc has been beautiful. Every meal produced by the staff has been absolutely beautiful.They can't do enough for you, making sure you get what you want and being so friendly. Made Rai is an absolute gentleman, always going out of his way to make sure you you have what you need and suggesting great places in Bali to visit. We all have enjoyed our stay here at Villa Maya, and would recommend to anyone with a large group like ourselves to stay here. Thank you to everyone at Villa Maya for an awesome holiday experience. Much Love! We have very much enjoyed our stay here at Villa Maya Retreat, This is a very special place in Bali, made all the more enjoyable by the birds, butterflies, frogs, roaster and dogs..etc. - the local environment is beautiful. The cooking and service was awesome, we enjoyed all your meals. The rooms were excellent. Thank you all for everything.we have enjoyed our stay. We will recommend this villa. Much Love. We were 10 group with 2 year old and 92 year old. We were warmly welcomed, and during our three night stay,we were appreciative of the specious accommodation and the abundant, tasty food with which we were treated during our breakfast, lunches and dinners. We found Made Rai, Chika and the staff to be very accommodating and friendly and we enjoyed their humour and hard work, they were especially inclusive and considerate of our 2 year old and our 92 year old. We would highly recommend Villa Maya to anyone who likes a quiet, unhurried existence with the distant sounds of a few roosters, the odd dog, thrown in to remind you of the fact that you are in the country. This villa is Paradise. We would recommend highly to everyone we meet. In particular Made Rai, Justin, Goldie, Jacky, Kenji, made us feel like family. The peanut satay sticks (highly addictive) and the swimming pools are fabulous. We can't wait to come back with lots more people. Thank you for everything. What a wonderful week we have had being thoroughly spoiled by the staff, and especially Made Rai who has driven us wherever we wanted to go, and Chika who cooked the most beautiful meals - supported by Kadek and our Chef. The ambience and tranquility will be hard to replicate again. Thanks so much for a wonderful week. This was the best vocation on our lives. We are in the service industry...we are recognize great service. We thank you for everything, we love you and want you to come home with us. Thanks for all Villa Maya team. We will be back. We are a group of ten here at Villa Maya. We have enjoyed our stay very much. Villa Maya is set in beautiful surrounding.The staff have been wonderful in every way, polite, helpful, and very friendly. Chika and Mandra is a fabulous chef, the food was delicious at every meal. They and the staff were brilliant. Thank you Made Rai for all your help and support. Our group of 12 spent 5 days here, Totally relaxing, just what we were looking for. Thank you to the staff for taking care of us and all our requests. Nothing was to much. Special thanks to Made, Rai, Chef, Chika and the helper. Thank you and will be back. A wonderful villa in paradise made all the more special by Mr Made Rai and his team who are very attentive and make sure everyone is happy. The food was amazing. We will be back. The Maya Retreat was perfect in every way. The staff beautiful, welcoming, and friendly. The food was extremely delicious and well cooked. We thoroughly enjoyed our stay here and would recommend it. Thank you. The setting and the staff are fantastic. Special thanks to Made Rai and Chika for helping us to enjoy the ambiance of this beautiful villa. Thanks for our marvelous holidays in Bali and specially in Villa Maya Retreat, The staff is very kindly and we spent two perfect weeks. Thank you for all. Mercy beau coup pour tout. Thank you all so much for your warm hospitality, words cannot express our great gratitude for giving us the opportunity to unwind. Stunning service. Great work. Warmest thanks. Villa Maya Retreat everything was WON-DER-FUL ! ! ! The Houses, The Staff, the organization of activities,the villa manager, the food....Everything was excellent ! I was delighted to be invited to my dear friend's 50th birthday, to find out that she was celebrating in Bali, was a surprise!!!! I have been continually amazed, with her choice of venue - Villa Maya. The service provided all week has been exemplary. We have been so impressed with Chika's attention, and professionalism. I have never met a harder worker - well done Chika (great sense of humor too). Made Rai has been a pleasure, always calm, punctual and happy. All of the staff have done a great job all week. Villa Maya, you are indeed blessed. Thank you. All the staff were amazing, welcoming and and went the extra mile to make an amazing experience even more unforgettable.The food was incredible, we simply cannot credit it enough. We all love the pool. Thanks guys. We have had such an amazing time here at the Villa Maya. The surrounds, the staff, the many wonderful rooms of the villa...so memorable...what a way to spend a holiday in Bali. Special thanks to Made Rai and Chika. Thanks for all your help!! The villa was great, it was clean, up to date,the staff are great and helpful. The facilities are magnificent. What amazing experience, starting from our arrival and the warmest of welcomes from Made Rai and Chika. The rooms and the grounds are amazing, with a beautiful communal dining but also your own space where you can hangout by yourself. The whole setting is stunning. All the food was delicious - tasty and plenty of it. Bbut I have to say it was the warm smile of Made Rai, Chika and everyone else that really made this stay so enjoyable. Thank you. We had a fantastic time at Villa Maya. Thanks to made Rai and his great staff who made our stay a real dream. We won,t forget the sound of Chicka's laugh, the massages, the food. Everything was better than we ever expected! Bali will Stay in our heart forever. Thank you. Villa Maya an amazing place to stay. Relaxing, peaceful has anything in need for an awesome holiday. The staff are great, nothing is to much trouble. Villa Manager Made Rai is the best. Thanks Made and staff you made our stay one to remember. The past week spent at Villa Maya will stay with me forever. Everything from the beautiful environment in which the villa sits to the amazingly, attentive and kind staff has been beyond perfect. I will absolutely recommend this villa to anyone coming to Bali. Thank You. What an amazing place we had ,the best time here at Villa Maya. Made Rai and all the staff ensured our special day was nothing but magical. We have had a terrific holiday and would highly recommend Villa Maya. P.S. can we please take Made Rai home? Wonderful staff, fantastic surrounds and beautiful food. I appreciate the effort and kind heartedness. I will definitely be back. This was an exceptional villa with excellent accommodation and I highly recommend to those whose main goal is to chill out and relax. The service provide by Made (Villa Manager) was great and the meals cooked by Tikka and the kitchen staff were delicious - making it too easy to stay in. The only downside is that this Villa is located quite a distance from major tourist towns, so is not suitable for those that want to be in the middle of the shopping action or nightclub late into the night. However the use of a driver does allow you to venture around fairly easily. We really enjoyed our stay at Villa Maya Retreat. The property is truly amazing. If you are looking to experience true Bali style indoor/outdoor living this is the place. The layout is perfect for large groups traveling together with the common area pool, lounges and living spaces providing perfect gathering spaces and the individual bungalow rooms and terraces providing opportunities for privacy when wanted. The location is quiet and relaxed which was perfect for us but if you are looking for exciting nightlife it might be a bit remote. The staff was wonderful including Made who helped us organize all of our outings and Chica who made delicious breakfasts, lunches and dinners. I would highly recommend this property. It feels like you have the exclusive use of a luxury resort for just your friends and family. I do not often give 10. In your price range is 10 is expected but not often delivered. The villa has the charm of Bali unlike a number of other villas that could be anywhere. I loved the fact that you could get away for some seclusion in beautiful garden surroundings . We picked Villa Maya for that reason. The staff were professional, approachable and delightful to deal with. I highly recommend Villa Maya. Our experience was outstanding. The property is magnificent--the photos do not do it justice. It is located in a quiet village and is not "in the mix", but is very accessible to Seminyak and not far from the airport and Ubud, depending on traffic. If you are looking for a property to walk out and hit restaurants and clubs, this place is not for you. However, if you want a serene, gorgeous and relaxing spot, this is for you. The staff went above the call to take excellent care of us. We, and our guests, were delighted. Made and Tikka (spelling? ), the cook, were particularly superb. We wanted to kidnap them and bring them home with us, they were so delightful. We hope to return and will heartily recommend this property to friends. A lovely large villa complex in the middle of the countryside. The staff were excellent as was the quality of the cooking. For those wanting a real getaway this villa is highly recommended. The plunge pools plus main pool make it ideal for groups of friends or family who prefer their own space at times but with a central meeting place for cocktails at 6! Villa is a delightful hideaway. Staff were amazingly friendly - more homely than stiff. Great bedrooms - 3 have their own private plunge pool, so romantic. Close enough to Seminyak and beach but far enough away to avoid the crowds and traffic. The real Bali. Very happy here and would come back in a flash. The villa was amazing! Really lived up to it's photos and the other reviews. The staff were very helpful and couldn't do enough for you. We had planned to stay for 6 nights but extended our stay another night as we couldn't bear to leave. If your after peace and serenity this is the villa for you, set away from the hussell and bussell in a quiet village. The gardens and surrounds were just beautiful and the staff were lovely. Thank you for a lovely stay! It is my pleasure to recommend the Maya Retreat. I have also commented the same on their face book page. The villa is absolutely fabulous. It is great venue for a group of friends and or family. We shared it with friends for a Birthday dinner which the resident chef created. It was devine and I cannot fault it , it was simply delicious. The staff are attentive and gracious, and it is efficiently run by Made, who is a lovely gently Balinese man whose has an excellent command of English. He had organised everything with his staff that we had asked for, and the villa a blase with tea candles for our magnificent celebration dinner. Ten out of ten all round. I recently spent 16 nights at Villa Sungai Gold next door which was awarded Winner Best Overseas Property Lodge or Villa by Luxury Travel Magazine. Last week I spent 9 nights at Villa Maya and it wins hands down, even though its half the price. Your staff are wonderfully warm, natural and were there for our every request. Being foodies I thought the Villa Maya meals might struggle against Villa Sungai but Maya was certainly better even though there was one chef competing against three. So what did I get at Villa Sungai for twice the price.... 1000 thread count sheets....Acqus di Parma toiletries....better sound system. Sungai Gold is about 80 sq m ...Villa Maya 5000 sq m with spectacular gardens. I could go on.... in fact why an I telling everyone when I want to keep this place as my secret. The Villa is sublime and very tranquil. A little out of the way but still only 1 hr to Ubud and 1 hr to airport (depending on traffic). Ibu Chika and her crew do a marvelous job in the kitchen as well as making you feel pampered and spoiled. Would highly recommend this Villa for families or a reunion for couples, the bedrooms are fantastic and there are loads of spaces to just relax and not feel on top of each other if you wanted some space. Grounds are perfect and sitting out at night with the candles all around the pool and garden is just magical. Meal preparation was very good we all enjoyed the attentive service and good food quality. Great villa! love the jungle riverside setting and hearing the Balinese village festivities nearby. My kids loved the cave-like bathrooms and the pool. Thank you Made, Chica and staff for a fab holiday! based on 63 user reviews. Villa Maya has a relaxed vibe with its magical jungle setting and soothing river ambiance. Although our first impression was that, because of its location, it would be hot, humid and full of mosquitoes, we were pleasantly surprised: yes, being down in the gorge means less breeze, but with the lazy river below, the sounds of running water, copious shade and the lovely colours and smells of the gardens it was all very pleasant and comfortable and exuded a lovely energy. And we hardly saw a mosquito (staff are vigilant about lighting coils in the evening). 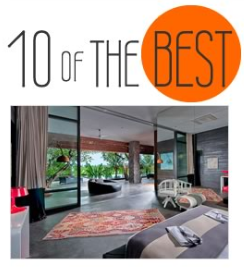 The bedrooms are all huge, maybe a little dark but great rooms and with very natural bathrooms. Two new bedroom suites (each with a private plunge pool) have been added since our first visit, making this an even more attractive proposition for a big group or family get away. The pool is a delight whilst the communal areas work really well with loads of corners to chill out and relax. Children and rivers is often not a good mix but Villa Maya is well shielded from the water by walkways and vegetation, still some care is needed. Food is selected with the chef from a suggestions menu - we found all the staff extremely willing, with a few speaking good English.